Awards for ‘Ivy; Homeless in San Francisco’! I was recently informed that “Ivy, Homeless in San Francisco” is a dual award winning book! It has won both a Silver Medal as a 2011 Literary Classic, and a Bronze Moonbeam Award from Independent Publishers. I am super psyched to be apart of this project and am glad to see that it is getting the recognition that it deserves. My contribution to this book was in creating the cover image as well as the five black and white interior illustrations. 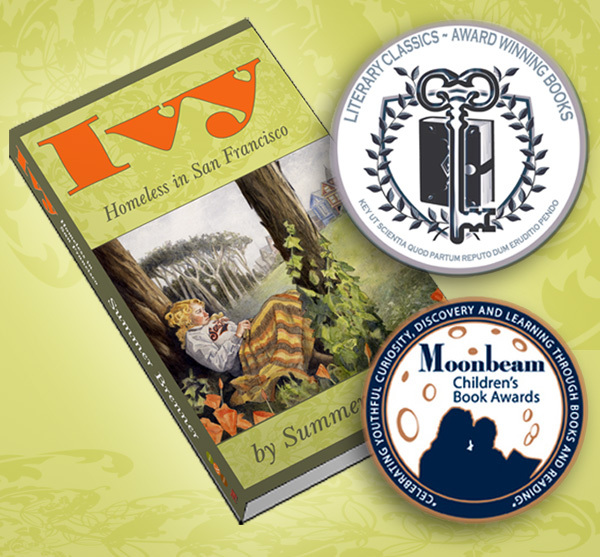 Read more about… “Ivy; Homeless in San Francisco” wins a 2011 Literary Classics Silver Medal and a Bronze Moonbeam Award!